Hey guys, welcome back to my blog! Today I’m coming at you with my second blog post in my Catching Up series! This series is all about me trying to read the books I feel like I’ve “missed out on” or I feel like are genre-staples. Today I’m talking about my experience reading The Hobbit this month as it is definitely a staple in the Fantasy genre though I’m not sure if it’s High or Epic fantasy! This month for my Catching Up series I decided to pick up The Hobbit by J.R.R. Tolkien because I’ve seen all the Middle-Earth movies and enjoyed them plenty and I would like to read The LOTR series sometime this year and I figured The Hobbit would be the perfect place to start. I’ve been meaning to read this for years and I’ve gone through at least three copies in different unhauls throughout the years so I figured it was time to finally pick it up! My overall thoughts are basically that I am soo underwhelmed by this book. I wasn’t sure how I was going to feel about The Hobbit because my feelings on the general LOTR/Middle-Earth movies are pretty meh but I had heard so many amazing reviews on this book but, I ended up finding it really underwhelming. I was not whelmed guys, I was not whelmed at all. I came away from this book thinking that had I just read The Hobbit and never seen any of these movies before it never would have enticed me to watch the movies or continue the series. I can’t remember any of the characters except for Gandalf and I think the main character’s name was Bolbo but don’t quote me on that because I can never remember the names of the characters in this franchise. What I loved about this book was how interesting it was and how it was clearly written to be a movie because of how in-depth the writing is. Also, a lot of people say that they can’t understand how a 350 page book was adapted into a movie trilogy but I can totally see it. The Hobbit is a really in-depth book in terms of the surroundings, the background plots with Gandalf and the number of characters so it doesn’t surprise me that they managed to milk the story for 3 movies, and three long movies at that. I also really enjoyed Blubo, is that his name??? I thought he was a really interesting main character because at the start of the book he’s really uptight and afraid of mess pretty much and by the end of the book he still loves that kind of stuff but he’s also not afraid of an adventure and getting his hands a bit dirty which I loved about him. Also, his family with the auction at the end of the book was hilarious and one of my favourite parts to read out of the whole book. Unfortunately, there are more negatives than positives to my reading experience with this one. I did think Baggins was a relaly interesting main characters and an unexpected choice to lead in an adventure/fantasy novel but I think it would have been a very different story told through the eyes of any other character. Speaking of, I think it would be really interesting to see the thought processes of some of the other characters throughout this story because I feel like I never really got to know them at all. Honestly, reading this book, from chapter 1 I didn’t really understand the hype at all. Sure, the cast is a really wacky and unconventional team and Smaug is a cool opponent but, like I said, this book was just soo underwhelming. I kept expecting something amazing to happen to make me drop my spatula (I was baking for the most part while listening to this on audiobook) but the moment never came. This is some people’s favourite book from childhood or favourite book in general, but it’s been just over 2 weeks since I finished reading it and I can’t remember the main character’s name, nor the other characters’ names and all I can remember are scenes I can visualise from the movies. Overall, I found this kind of boring and I don’t understand why there’s such a cult phenomenon around this book – but I would like to understand why so I will continue with the LOTR books! Mostly, it felt rushed and I definitely preferred the movies which I know is an unpopular opinion. Reading this would never have convinced me to read or watch anything else in this world so yeah, I really don’t understand where all the super-fans for this book are coming from! Basically, it took me four (4) goes to finally get into this book over the course of a few days and that really should have been an indicator that this wasn’t going to be the book for me. That being said, I did enjoy aspects of this book like Baggins and the introduction of Gollum and the ring and I will definitely be continuing with the series. 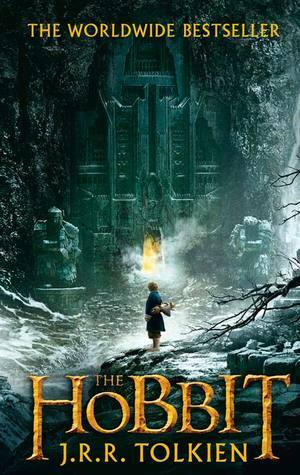 WHAT DID YOU THINK OF THE HOBBIT? Posted on February 27, 2019 February 28, 2019 by EllynPosted in ChallengesTagged Catching Up Series, The Hobbit. Previous Previous post: MY JAN/FEB HAUL // Owned books, library books & movies! Next Next post: MY MOST ANTICIPATED RELEASES OF AUTUMN, 2019 // March, April, May Releases! Personally I like The Hobbit a little more than Lord of the Rings, but that’s just me 🙂 Great review–I enjoyed how thorough it was! That’s really interesting to hear because I’ve always heard people enjoyed LOTR more! I read The Hobbit when I was a kid and to be honest, it bored me. J.R.R Tolkien’s writing is SO in depth with an incredible amount of details, but I just feel that if translated as a bit drawn out? I preferred the LotR books as well as the movies, I liked Frodo as a character more, and just felt like the story was more compelling. I completely agree, his writing is crazy in depth to the point where it’s distracting! That’s good to hear, I’ve heard better reviews for LOTR and I think the story will definitely be more compelling! Hi! I'm Ellyn, an 18 yr old Aussie who's always stuck in between the pages of a book! Welcome to my blog, here I review and talk about books, tv shows and movies I both like and dislike. I also share my tips and tricks on both reading & blogging that I've learnt along the way! CHECK OUT THE TOP POSTS ON MY BLOG! HOW TO APPROACH PUBLISHERS // Today we discuss etiquette??? & I give advice on how to talk to the (not so) big and scaries of the publishing world! THE LADY JANIES BOOK TAG // We made a tag and I am screaming! THE SECOND ANNUAL BOOK BLOGGER AWARDS // Spreading all the love! DNFing Books| Yay or Nay? THE BEHIND THE BLOGGER BOOK TAG // An Original Tag! THANK YOU, NEXT BOOK TAG! My April & May Tbrs // SO MANY OF YOUR FAVOURITE AUTHORS! 10 Struggles all Bookworms Deal With ALL THE TIME | BOOKWORM STRUGGLES! DVD TOUR RECOMMENDATIONS #1 // A Semi-New Series + The Series on My Shelves! Daisy Jones & The Six (2019) *Spoiler-Free* Review // HOW DID A STORY WITH SO MUCH POTENTIAL FAIL SO BADLY??? I PLAY “I SPY” WITH MY BOOKSHELVES!